Black Coffee is one of the most talked about DJ on the planet, with intoxicating rhythms, real depth and, awe-inspiring production. 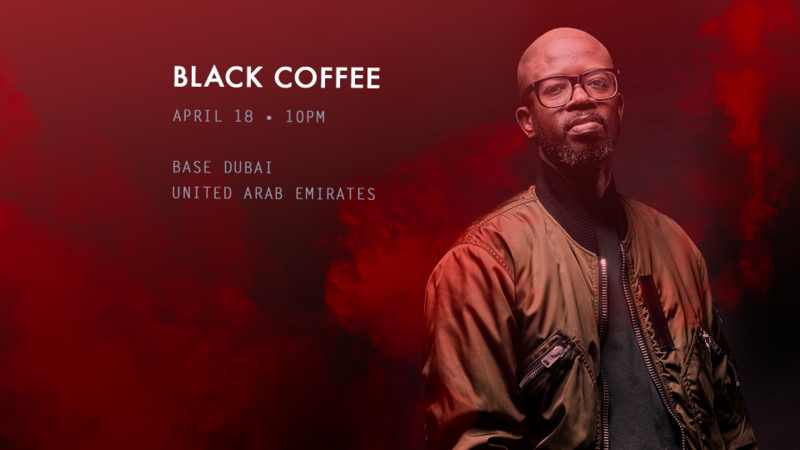 On April 18th, 2019, South Africa’s hottest export takes again the reins of Base Dubai. BASE Dubai offers an immersive, exciting & unique experience raising the bar on the global nightlife scene. Much more than a traditional nightlife venue, this huge open-air venue plays host to an endless list of the world’s top artists; paired with unmissable world-class shows and production. The large scale state-of-the-art sound, light, and pyrotechnic systems provide guests with an experience much more akin to a boutique festival or concert but with all the usual luxuries of a premium lounge.